So I've been tooling around with OSX on my Sager laptop again and spent a short bit of time running around in circles trying to get my nVidia graphics enabled again. Getting this done with a modern OSX86 release is fairly easy if you know how (it doesn't even require installing a kext). Type your password and press enter. In the file that is opened simply add these lines. Above the line that reads this. Press ctrl+x to close the file and press "y" followed by enter to save the changes. Reboot your Hackintosh and you should be good to go. 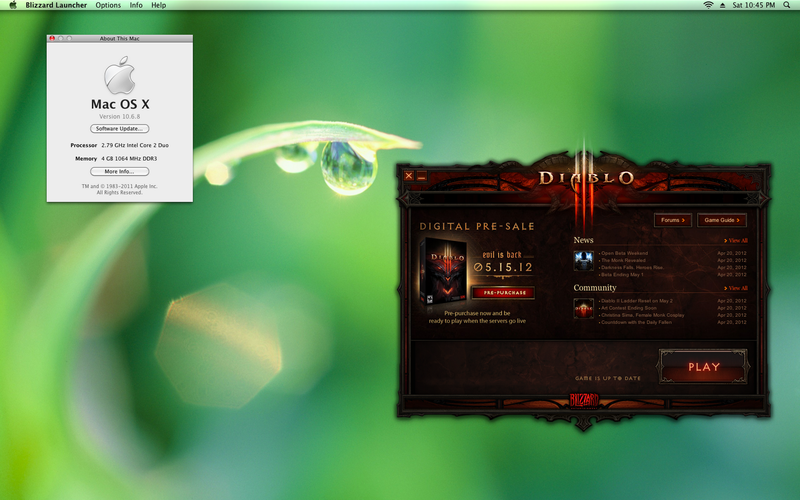 I'll be enjoying the Diablo 3 beta on mine. As a side note sorry for the lack of posts this month. My school semester is coming to an end and life has been crazy of the late - expect some good postings come May (including hopefully a HOWTO for running Diablo 3 on Linux).